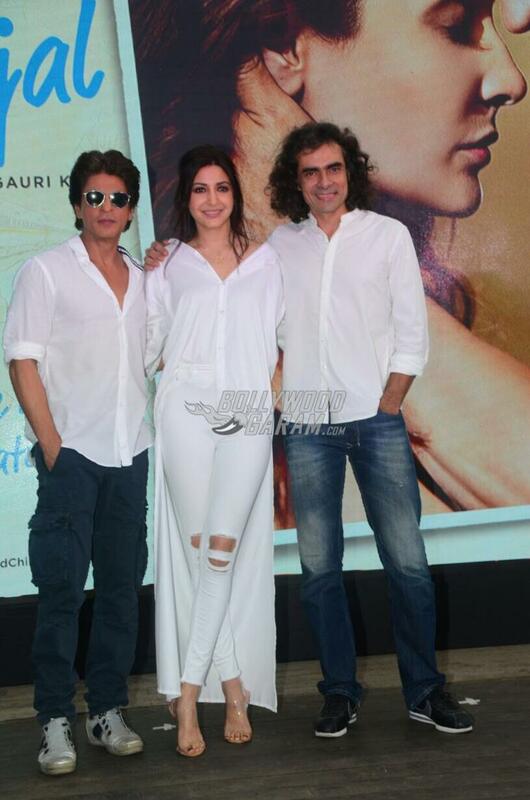 Anushka Sharma, Shah Rukh Khan and Imtiaz Ali came together for a promotional event of their upcoming film Jab harry Met Sejal in Mumbai on July 26, 2017. Shah Rukh and Anushka were seen sharing a great chemistry as they got in to the characters of Harry and Sejal, who accidentally bump in to each other on a foreign land. 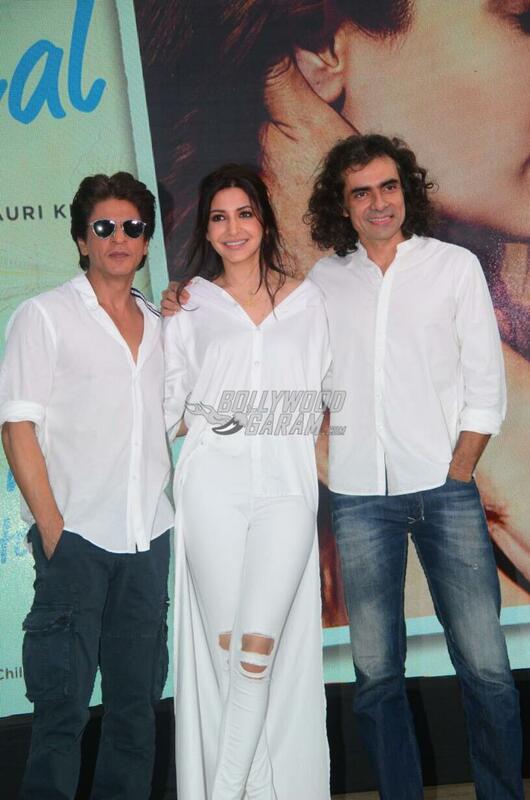 The Jab Harry Met Sejal trio looked great together as they came in white co-ordinated outfits. 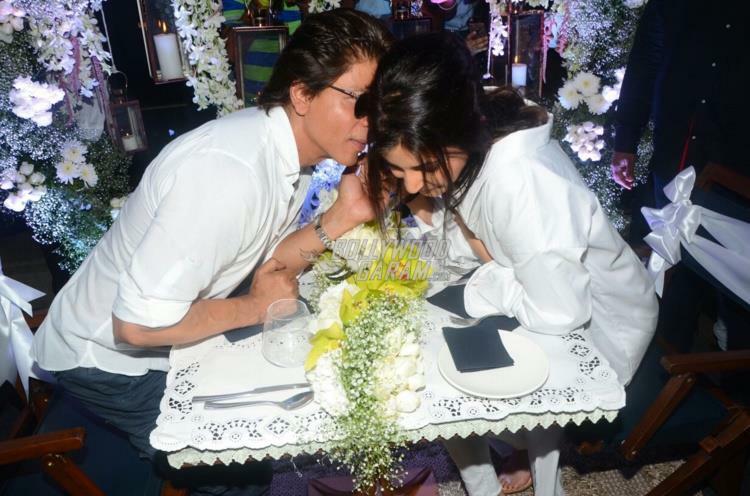 Anushka looked pretty in a white asymmetric shirt and white ripped denims while Shah Rukh appeared in a clean shaven look with a white shirt and blue trousers. 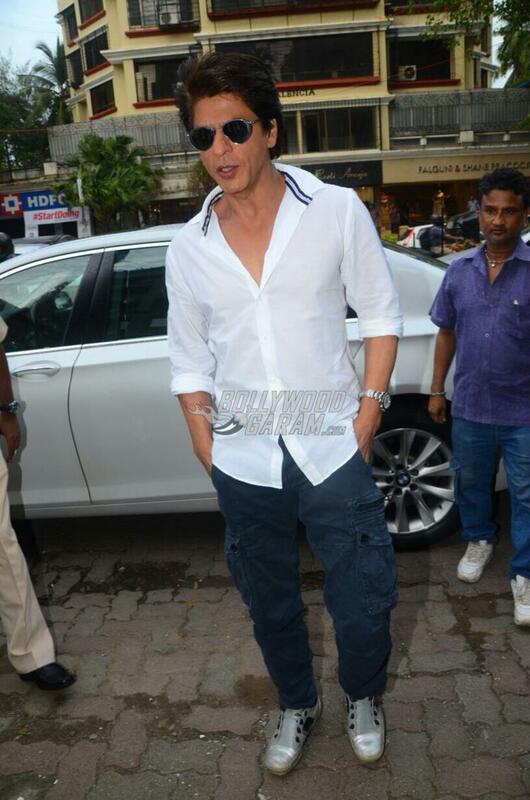 Imtiaz too was seen in a white shirt and blue denims. The upcoming romantic comedy flick has Shah Rukh playing the role of a tourist guide while Anushka plays Sejal, who is on a vacation but has lost her engagement ring given by her fiancé. 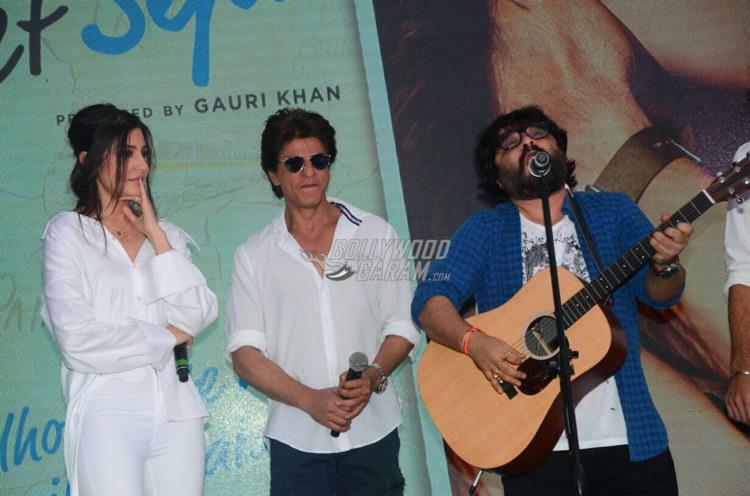 The film is directed by Imtiaz Ali and is expected to be another hit with the audience with the hit pairing of Anushka and Shah Rukh. Jab Harry Met Sejal is ready to be released in theatres on August 4, 2017.